Growing up in LeClaire, Iowa, IU senior Ali Oppel lived for sports. If she wasn't playing soccer, swimming, running track and cross country or participating in triathlons, she was watching them, alongside her family, from the sidelines. 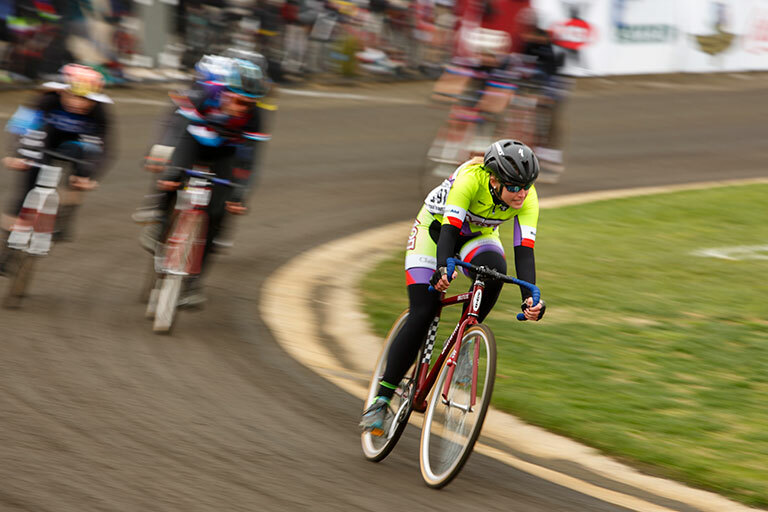 So when she started looking at colleges to attend, she became interested in IU Bloomington not only for its world-renowned business school but the famous Little 500 bicycle race that takes place every April on campus. "I first heard about Little 5 when I toured IU for the first time," said Oppel, a senior at the Kelley School of Business majoring in accounting. "It just seemed like a really cool activity and community event." So her freshman year, Oppel joined Greek life as part of Alpha Omicron Pi sorority, eventually joining its Little 500 team her sophomore year. At the time, the team was struggling to find riders and its footing. But Oppel instantly found friends among her sorority sisters and a team she could compete with. "The people on the team sealed the deal for me and made me love being in a sorority," she said. Although the first year was rough, the team slowly started gaining momentum and this year rounded up the top five starting positions. Oppel became instant friends with her Little 500 teammate of two years Michaela Ranft, former team captain for Alpha Omicron Pi team. With two competitive spirits, the women were determined to make the team better. Oppel played a huge role in helping her create a winning team, Ranft said. "A lot of riders join to try it out and see if they like it for a while, but Ali was all in," Ranft said. "Ali is always thinking about how to make the team better. We would do a workout one day, and the next practice she would have rewritten it in order to make it more effective or flow better. She would also spend her time watching old races and analyzing the current field. The team trusts her to know what riders to look out for on the track and to build our race strategy." One of the things Ranft loves most about being a part of the team is the collaboration among members and the ability to tap into each other's strong points to make the team a success. When it comes to Oppel's contribution to the team, it's her workhorse personality, Ranft said, and her ability to encourage the rest of the team to work hard. "Her attitude of never being satisfied is definitely contagious," she said. "Some days when I just wasn't feeling it and wanted to lay around the house, I would see her heading to the workout room and I knew I couldn't skip out." "I've always found it easier to work hard because I want to do well for others," said Oppel, who also serves on the IU Student Foundation's Riders Council. "I don't want to let the team down." Training for Little 500 begins in the fall, when the team hits the open road for rides at least three times a week. When the weather turns cold, riders, led by a coach, head indoors for roller workouts. A lifelong athlete, Oppel also trains in the gym throughout the year. Once warm weather hits and April comes into view, teams head out to the track to hone their skills and prepare for the big day. When they are not training, Oppel and her teammates spend time getting to know other racers and organizers of the event. Once on the track, it is all about communication, Oppel said, and a little good fortune. "At the end of the day you can work as hard as you possibly can, but so much of winning is about luck because anything can happen," she said. When she is not in the classroom or on the racetrack, Oppel works at Bicycle Garage Inc. on Kirkwood Avenue and volunteers with Big Brothers Big Sisters. Oppel joined the organization her freshman year of college, hoping to serve as a positive mentor to a young girl. For the past two years, Oppel has been matched with her little sister Nohely. The two spend their time attending sporting events and talking about the teenager's plans for college and an eventual career. Mark Voland, executive director of Big Brothers Big Sisters of South Central Indiana, met Oppel during her freshman year at IU. Her commitment to not only her little sister but her advocacy for the program has been no small thing, he said. "Ali has had a huge impact on our agency for four years in many different and important ways," she said. "She has helped a young girl turn into a strong young lady; she has recruited dozens of IU Bigs who are now mentoring local youth in our community; and through her leadership on our BBBS@IU executive team she has helped raise thousands of dollars that have helped put together IU mentors with local youth. She has really served as a champion of Big Brother Big Sisters." 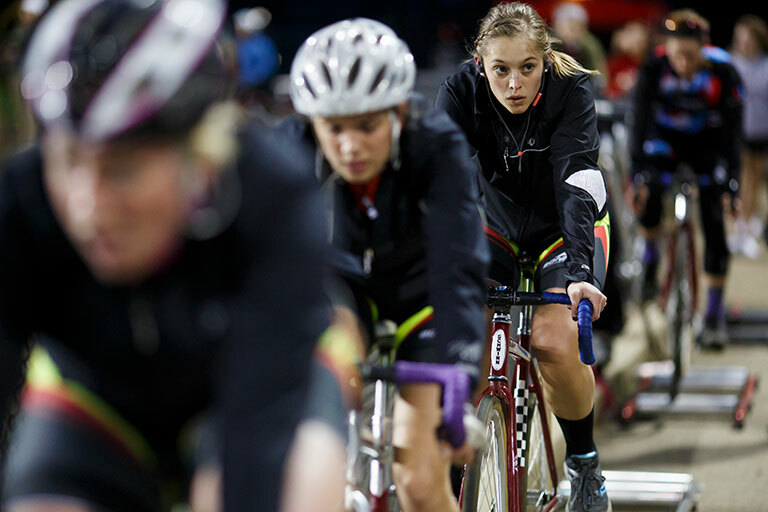 As the women's Little 500 race prepares for its 30th running, Oppel and her team are hoping to do better than they've ever done. But Oppel said the experience of Little 5 has been more about the ride and less about the victory. "I would love to win, but for me it is just cool to see how far our team has come and to see it continue to grow after I leave," said Oppel, who graduates in May. "The experience of being a part of this huge community and the legacy of Little 500 is the biggest thing I'll take away."